Hardcover, 9.25 x 12 in. / 296 pgs / 300 color. Matthijs Maris (1839–1917) initially achieved fame as a Hague School landscape painter, like his famous brothers Jacob and Willem. 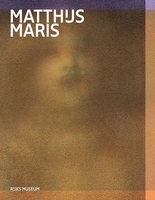 Over the years he abandoned this realistic style for more introverted and symbolic themes, portraying dreamy children, fairytale figures and mythical landscapes using an increasingly smudged painting technique. In his own time, Maris was admired at home and abroad by collectors and artists (including Vincent van Gogh), but despite his success, Maris grew increasingly bitter and spent his last years secluded in his London studio. 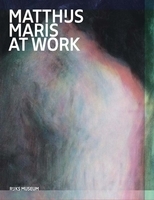 This publication, a companion volume to Marthijs Maris at Work, tells the painter’s story through more than 75 paintings, drawings, etchings and pieces of applied art drawn from the collections of the Rijksmuseum and The Burrell Collection in Glasgow, providing the first broad overview of the work of this unjustly forgotten artist. FORMAT: Hbk, 9.25 x 12 in. / 296 pgs / 300 color.